Anticpation...before the ceremony at Horseshoe Bay Farms in Egg Harbor. 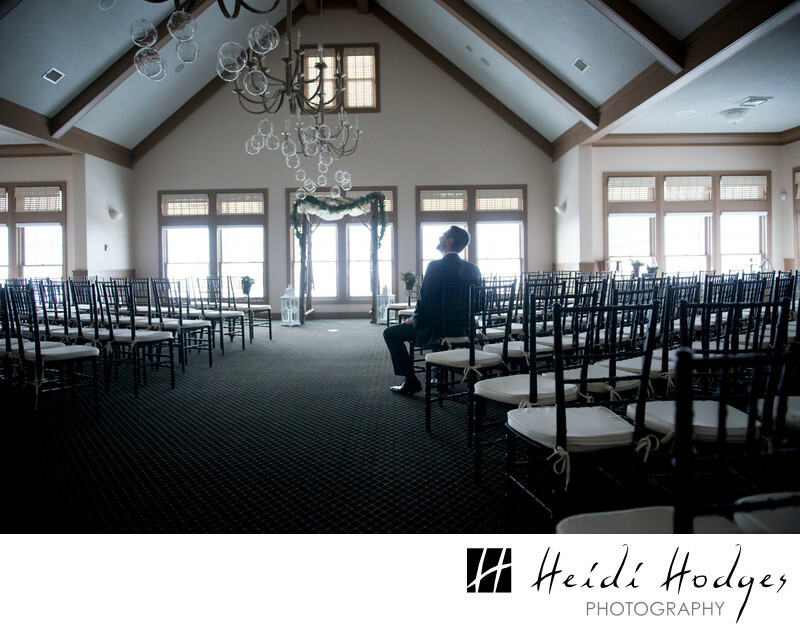 The indoor winter wedding was set up and the groom stopped by the ceremony location to look over the decorations, and take it all in before the events of the day began. Location: Horseshoe Bay Farms, Egg Harbor, Door County, Wisconsin.